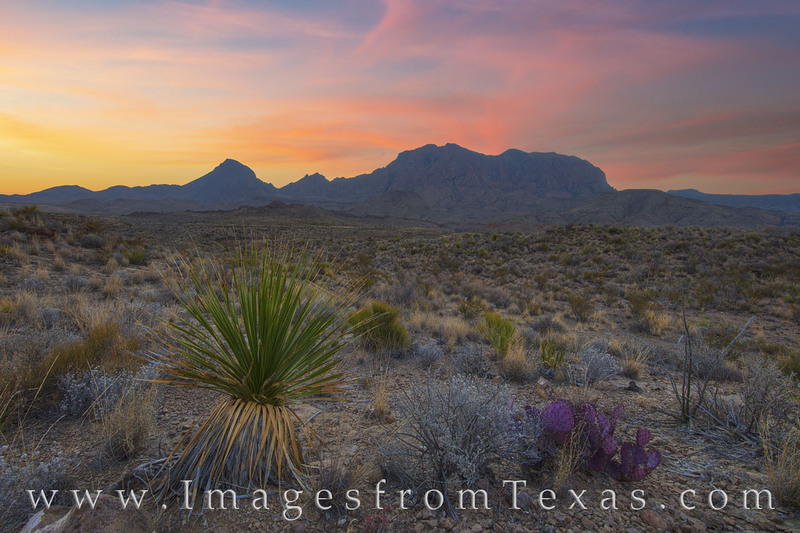 On a perfectly still Spring morning on the western slopes of the Chisos Mountains, a glorious sunrise lights up Big Bend National Park. With a yucca and cacti in the foreground, these ancient mountains rise up almost 8,000’ above sea level. I love mornings like this in the desert - calm, quiet, and time to reflect on the beauty that even many Texans don’t get to experience. West Texas, with all its ruggedness and remote location, still has a way of drawing you bakc to this amazing landscape. Photo © copyright by Rob Greebon.